Juliana Fulton We are only a month away from opening the Ha Mali Community Center! The idea for its creation came from hearing all the different problems facing the families in my village when I went door-to-door for my household survey. My work at the schools didn’t seem to touch many of the problems the people in my village complained of: not having easy access to a clinic, not having jobs or training for them, the number of orphans living with elderly grandparent and sanitation issues. What seemed to be needed was a center for outreach and skills training within the village. World Vision recently built a pre-school, the only communally owned building in my village, and one that fit the outreach/ community center scheme perfectly. 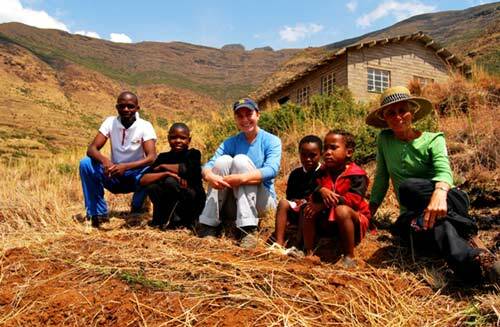 Maliba Lodge’s Community Development Trust was equally enthusiastic about the idea and agreed to help with the funding and applied for another Peace Corps volunteer to help make it a reality. The progress started pretty slowly. It was winter, not the right time to start gardens or to motivate people within the community. As spring arrived, so did our new volunteer, Maggie, who has extensive experience with eco-tourism and project management, and the project quickly got underway. As of this week, we have started 9 small garden plots, with 18 of the 30 orphans in the village. Chickens, and chicken tractors, are planned to arrive next month to provide eggs and protein for the orphans. Chicken tractors are a type of free-range chicken run, placed directly on top of the plots to fertilize them as well as removing grubs and weeds before they are planted. It seems pretty fun, we have a chicken tractor building session planned for the village next month, using locally found materials. There have definitely been set backs. The recent number of funerals in my village, five in the past month, reveal the real need for clinic outreach and HIV workshops. But culturally you cannot dig or touch soil when someone is being buried, which has been every weekend this month. The more funerals there are the more eager we are to get our program going, but the slower the progress actually is. However, we have been making progress. The building is starting to take shape after several repairs and coats of paint. Soon it should be ready to host afterschool literacy and business classes, as well as a monthly clinic outreach program. There is so much that the center could potentially do, it’s very exciting! Whatever the current issues the people within my village see themselves facing, we now have a place to hear them and hopefully address them, or better yet—give them the skills to address those problems themselves. Maggie Day We are in discussion with a host of local organizations and agencies that have agreed or are considering use of the new Community Center to provide the people of Ha Mali with critical services. Such agencies include World Vision (www.wvi.org) to provide funding for literacy and water programs; New Start (www.PSI.org) and Kick4Life (www.kick4life.org) for HIV/AIDS counseling and testing events Lesotho Planned Parenthood Association with family planning services, St. Denis Clinic to provide medical service outreach, the Lesotho Ministry of Agriculture would like to provide workshops on agriculture, livestock, irrigation and pest control and the Ha Mali Support Group will be meeting monthly at the Center to report on their visits to orphans , ill and elderly. We’ll be helping the Support Group to coordinate their efforts with the Clinic staff so home-bound will receive medical services not currently provided. We’re setting our sights on an early November Grand Opening with many programs to get underway in the next few weeks. If you’d like to be part of our efforts we can use your help! 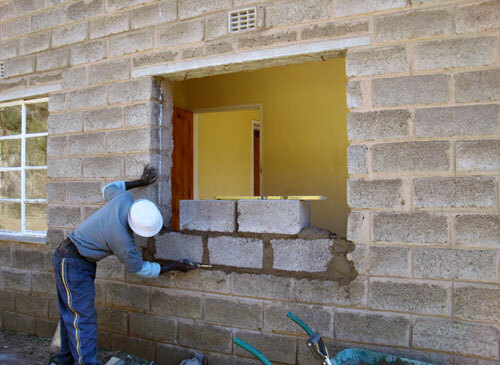 To keep up with the Community Center progress and/or make a contribution please visit the Maliba Community Development Trust website for continued updates. And please visit us when you are visiting the Maliba Mountain Lodge or the Ts’ehlanyane National Park.